EXCLUSIVE TRAVEL GROUP OFFERS FOR QANTAS FREQUENT FLYER MEMBERS. The Exclusive Travel Group is a specialist company focusing on bespoke luxury travel to Australia, New Zealand, the South Pacific and Papua New Guinea and is delighted to announce its partnership with the Qantas Frequent Flyer programme. Qantas Frequent Flyer members now have the opportunity to earn Qantas Points for every dollar spent on an Exclusive Travel Group experience. Simply quote your Qantas Frequent Flyer number when you confirm your travel plans and you will earn one point for every dollar spent. Whether it’s a short break, a weekend golfing getaway, a family holiday, anniversary celebration, corporate retreat, a bucket list experience or one of the special offers we have designed specifically for you – Call us direct or complete the enquiry form and one of our very experienced Travel Managers will contact you. From the Mountains to the Sea – From the Rivers to the Lakes, the Luxury Lodges of New Zealand are all set in outstanding locations. With exceptional hospitality complemented by world class cuisine. Be it at a lake edge or river bank, perched on a cliff top or a mountainside, set within glorious gardens or in the wilderness, on a farm or vineyard on the beach or on an idyllic island – New Zealand has some of the finest Lodges in the world. The Brando is a unique luxury resort on French Polynesia’s breathtakingly beautiful private island of Tetiaroa – an atoll composed of a dozen small islands surrounding a sparkling lagoon 30 miles northeast of Tahiti. The Brando offers carefree luxury in the midst of pristine nature. With access to the island by private plane, the resort features 35 villas on white-sand beaches frequented by sea turtles, manta rays and exotic birds. Our aim is to provide one of the most luxurious, authentic and enriching travel experiences available anywhere in the world in an environmentally sensitive, sustainable and culturally rich manner. 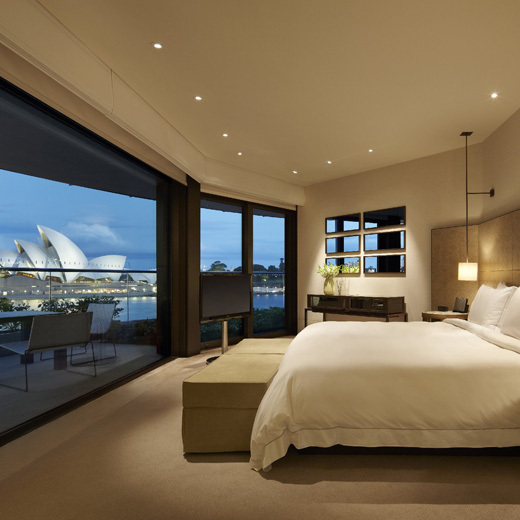 At Park Hyatt Sydney, wake up to unrivalled views of the Sydney Opera House from your beautifully positioned room. Enjoy first class food and service, the exquisite Spa and fabulous Roof Top Pool. Explore the vibrant Rocks village, filled with cobbled laneways, cafes, art galleries, museums and luxury stores. Kokomo Private Island is situated on the edge of the celestial Kadavu Island Group, south of Viti Levu – Fiji. Encircled by the Great Astrolabe Reef, the fourth largest on earth and renowned for its world class diving. Kokomo Island is a unique island paradise where traditional Fijian design intertwines with modern contemporary living. Kokomo Private Island is a private escape for the intergenerational traveller, a place to celebrate life, where big smiles, genuine laughter, a warm welcome and seamless hospitality is effortless. One of New Zealand’s most important historic homes simply oozes charm and character, Secluded by magnificent, century-old gardens and located just outside Christchurch, the three-storey stately home was built in 1895 for Canterbury pioneer Sir Heaton Rhodes and is among the finest examples of Queen Anne architecture in Australasia. Experience Otahuna and you enter a world of understated sophistication. Attention to detail is noticeable everywhere you look. The cuisine is honest with uncluttered flavours, the finest local ingredients and elegantly restrained presentation. The spectacular 110-year old gardens were laid out and cultivated under the direction of A. E. Lowe who trained at Kew Gardens, London. Wide vistas over lawn and lake contrast beautifully with intimate walks which wind through heavily wooded areas.